The Jackson County Sheriff’s Office and the NCSBI have charged an individual in the homicide of Timothy Vincent Norris. 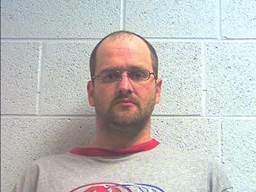 Charged is Thomas “Tommy” Glen Palmer Jr., 33, listed with a Tignall, GA address. Palmer is the step son of Timothy Norris. Palmer is currently being held in Wilkes County, GA on unrelated charges stemming from an armed robbery in Georgia on December 13th. Jackson County has begun the process to have Palmer extradited back to North Carolina. No further case details are being released at this time. Norris, a 49-year-old Cashiers man, was shot dead inside his home on February 3rd. Tim Norris’ wife, Tami, left their home on Feb. 2 at about 6 p.m. for her job at Highlands-Cashiers Hospital. She worked the night shift. She discovered her husband’s body the following morning.